LA COLORS cosmetics have amazing collection of makeup and beauty products that too at a very affordable price. I'm highly impressed with their LA Colors Concealer which gives great buildable coverage and comes at a dirt cheap price. The only problem with LA Colors products is that these are not so easily available in India and needs to be shipped internationally from websites like cherry culture, Beautyjoint and other international sites. These do get bit expensive due to shipping but still worth because of the quality they provide. Anyways without wasting any more time let me start with the review of this LA Colors Double Volume Mascara. 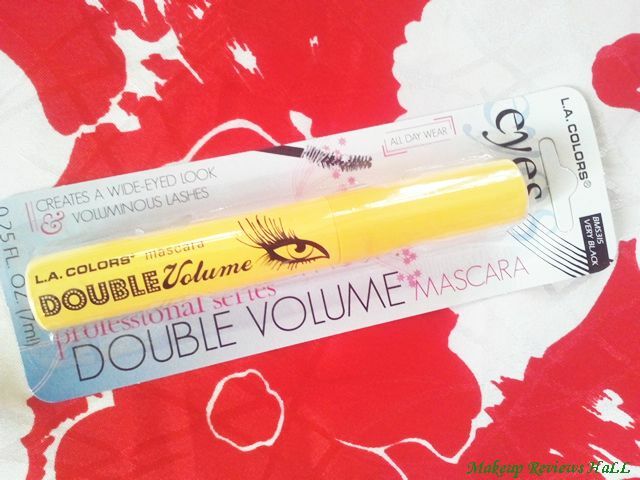 Double volume mascara is specially formulated to double volumizing lashes. Special applicator brush separates each lash without clumping. 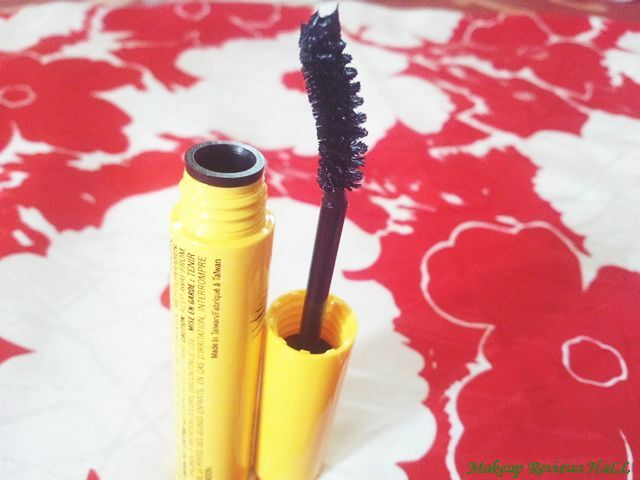 This Mascara Comes in a simple yet bright yellow colored packaging with a black lash wand which is very simple with bristles curved upwards. The bristles look average and not really too dense to make a note of. Take a look below. I avoid using eyelash curler on daily basis or even frequently because I find it bit scary and use it only on rare occasions, so tried this one LA Colors Double Volume Mascara on its own. I tried applying it very lightly swiping it gently over the lashes and could feel no effect or just very light not even noticeable. Then I applied it with some effort to get that volumized look but unfortunately even after trying with multiple swipes and much effort I ended up getting just the average lash look with average thickness and volume. I know by now you might have understood, that this La Colors Double Volume Mascara is just average when it comes to application. 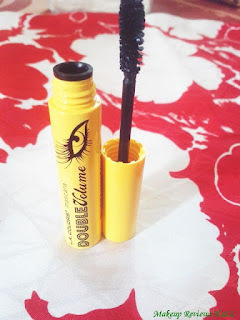 It just makes your eyelashes focussed by simply highlighting them with the black mascara gel. I think the best word to put up here could be emphasizing the lashes so that they look more noticeable but this mascara definitely does not hold true to its claim of double volume. 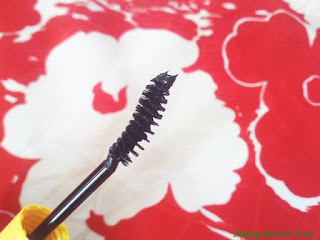 One can definitely make lashes look volumized and thick with repetitive multiple swipes but I totally avoid this technique of applying mascara since it ends up making lashes look clumsy and sticky. So overall I think this LA Colors Mascara is just the average mascara for basic daily eye makeup which can be made party wear but definitely with some effort. Personally I don't really complain about this eye mascara too much because it comes at a dam cheap price and you cannot even get a middle end mascara in this much price and this was the reason I was little speculative even before ordering it but being highly impressed with the LA COLORS other cosmetics and makeup products, which again comes at a dirt cheap price, I thought even this one would beat other mascaras. 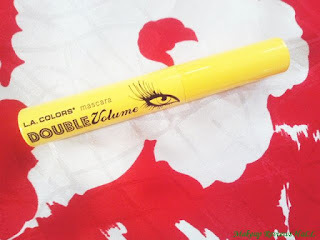 So I definitely can't ignore the price and packaging of this LA Colors Double Volume Mascara but would only recommend you if you want just a touch up to your lashes. You can definitely use it to highlight my eyes to make them look more radiant and lively but would only keep it for daily basic eye basic makeup avoiding the multiple swipe effect for extra double volumized effect. So all in all average to good mascara at a very reasonable price and somewhat perfect to give a boost to your lashes volumizing them and making them look more radiant. From the amazing brand LA COLORS. Comes at a dirt cheap price. Good enough for light makeup touch. Would definitely highlight eyes making them radiant. Does not give double volume effect as claimed. 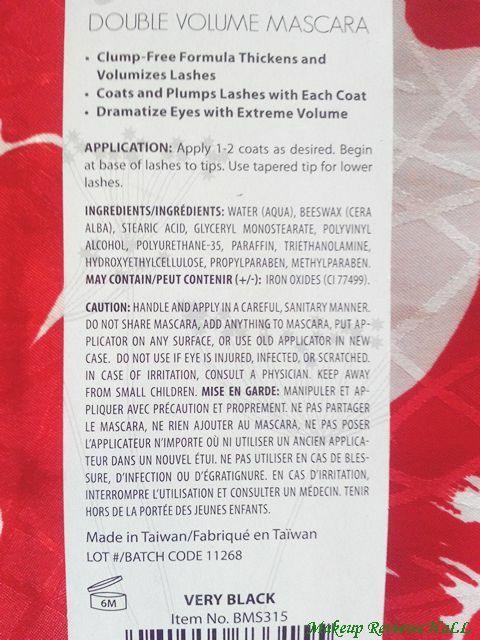 Definitely not for parties for extra thick lashes. Feels sticky after repeated swipes within seconds. Not waterproof, leaves black residue after some while. Sounds like a very average product. Sounds average. Not that great a mascara.